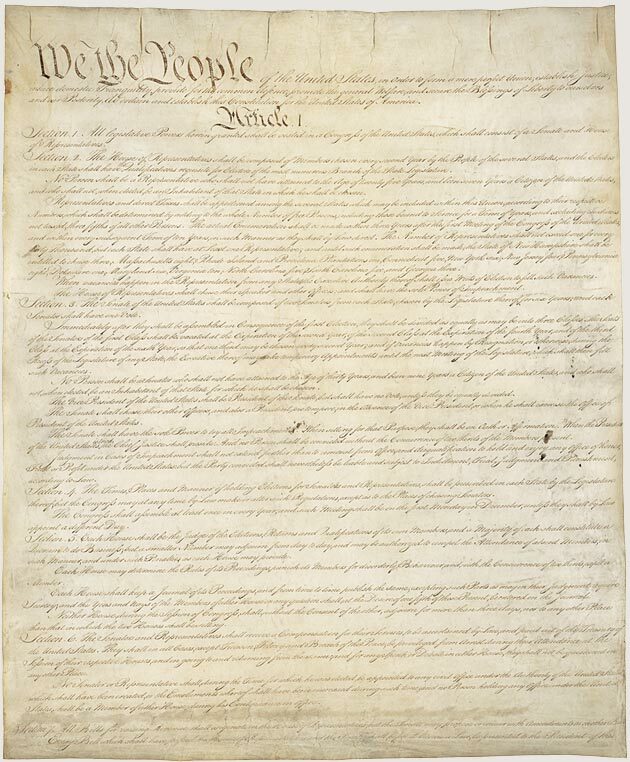 Which Constitution do you like: the real one or the edited one? The new Republican leadership of the House of Representatives opened the new 112th Congress with a reading of the Constitution that they are sworn to support and defend. Some Members on both sides tried to make political hay out of the action, but for the most part it was a bipartisan effort that served to remind all of what they were there for. “Three fifths of all other Persons.” Those “other Persons” meant slaves. The formula was changed by the fourteenth amendment, which ended slavery and, eliminated the three-fifths language. Why would anybody bowdlerize the Constitution? Simple—it’s to maintain the fiction that the founders had perfect foresight, and that their language—or their omissions—must be followed slavishly for all time. And so, for example, since they didn’t allow the federal government to require Americans to buy health insurance, then the health care law must be unconstitutional. And so, for another example, since they didn’t—in 1787—forbid corporations from buying TV time for political ads, then corporations must today be free to buy political TV ads. But if the founders were so imperfect as to enslave other human beings, who they counted as three-fifths of a person each, well then, we need to feel our way in determining what’s constitutional. This entry was posted on January 9, 2011 at 11:42 pm and is filed under Ethics-general, Government, Health care, Politics. You can follow any responses to this entry through the RSS 2.0 feed. You can leave a response, or trackback from your own site.